Mount Robson, the highest peak in the Canadian Rockies, towers 3,954 metres over the western entrance to the Mount Robson Provincial Park. 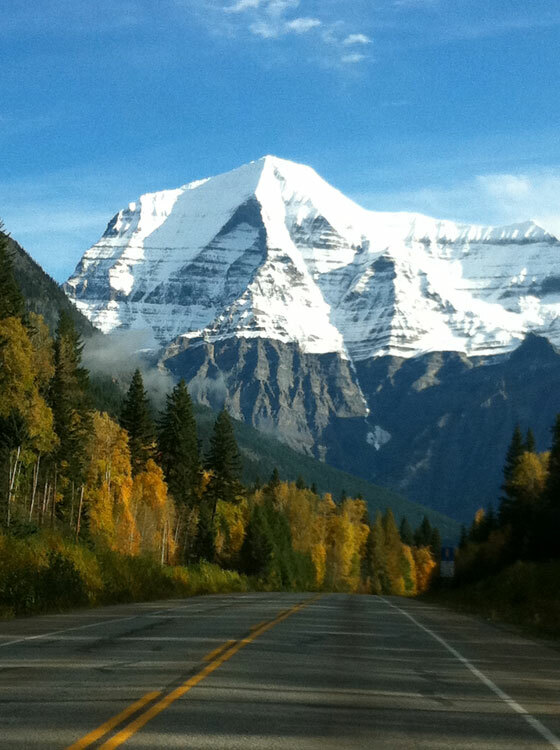 Whether seen in the winter when snow mantles all but its sheerest sides, or in summer when wispy clouds form a lacy veil silhouetting a tiara of snow at its peak, Mount Robson is one of the most impressive and beautiful sights in British Columbia. Visitors gaze in awe at its massive magnificence much as early explorers, fur traders, trappers and native people must have done a century and more ago.